Every year for almost a decade, we’ve hosted the Censis Technologies Users Conference (CtUC) as a way to support the Sterile Processing Professionals that depend on our portfolio of products. This year is no different. On September 22-24, 2019, we’ll gather at the Gaylord Opryland Resort in Nashville, TN, for our ninth annual conference, connecting Sterile Processing Professionals through hands-on learning, innovative industry sessions, and off-site events. 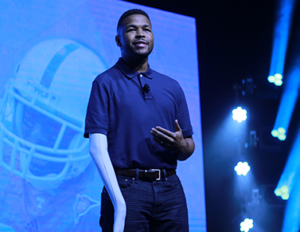 Last year’s conference opened with a special keynote presentation from Inky Johnson, former college football player turned motivational speaker. Johnson shared his story of triumph over the career-ending accident that left him with a paralyzed right arm. He encouraged us to remember why we do what we do, and he reminded us that the work we do is about more than a tracking system—it’s about the ultimate impact we have on the people our work touches. His presentation set the tone for the rest of the conference, which contained many other reminders that what we do as sterile processing professionals have long-term impacts on patient outcomes. Some of the best moments at CtUC happen in our user-led sessions, where Censis users share their sterile processing experiences and ways they’ve improved their processes. 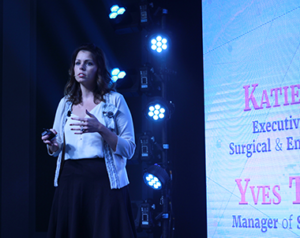 Last year, we welcomed Yves Theodule and Katie Sikora from Advocate Christ Medical Center (HPN’s 2018 CS/SPD of the Year recipient). They highlighted the ways they reorganized their department for increased efficiency and productivity, sharing before and after photos that illustrated the impact made by optimization. They also reminded us of the need for executive buy-in and support in order to make departmental changes. With how specialized Sterile Processing is, nothing compares to peer-to-peer education. These sessions provide unique learning moments that can only happen when people who know sterile processing inside-out gather in the same place to learn from each other. It’s not often that Sterile Processing Professionals from different states and institutions are in the same place, sharing information and giving real-time feedback, but at CtUC, that’s exactly what happens. Last year, our Chief Technology Officer (CTO) Todd Thomas used live polling throughout his session. The real-time feedback from attendees made me realize that, regardless of where we may work, we face many of the same issues and have the same opportunities for improvement. Through the conference, we learned that we have a community to turn to—for solutions, for ideas, for support. CtUC connected us to that community. I’m proud to be part of an organization that prioritizes learning, community building, and knowledge sharing. CtUC is an event I wouldn’t want anyone to miss. If you haven’t done it yet, now’s the perfect time to download our validation package, talk to your management, and add CtUC to your calendar for September 22-24, 2019.